Now when you tell someone you’re a vegan the usual reaction goes something like this… eyes begin to squint, jaws slightly drop, and that tiresome question is once again verbalised: ‘so what exactly do you eat? However, in Berlin the response is surprisingly refreshing: shoulders are shrugged, a semi-enthusiastic ‘cool’ is murmured and conversation naturally flows onto a different topic. Berlin is a haven for vegans (and vegetarians), offering everything under the sun from a vegan supermarket to a vegan pizzeria, as well as a dozen cafes that provide delicious Sunday brunches that can kick any hangover. What is most spectacular is the fact you can pretty much go anywhere (bar the odd traditional place) and find a vegan option. In other cities this is unheard of, unless you want to be stuck with spaghetti pomodoro once again, or pay triple price to go to some chic place that can only be described as ‘screaming vegan’ with its multi-coloured walls and walnut decorations. In no way am I suggesting that veganism hasn't become something of a trend in Berlin. Of course, like everything else, it has been marketed and cornered into a ‘yummy mummy’ niche. Despite of this, there is a genuine respect and sincerity towards veganism that does not exist in other places on the globe. Owing to its roots in Berlin’s squat culture, veganism has become an inherent part of twenty-first century lifestyle in Berlin. Even if you’re adamant that vegan food is not for you, Berlin is the place to give it a try. A visit to the pizzeria ‘Sfizy Veg’ should not go amiss. Tucked away on Treptower Straße, just off Sonnenallee, this little restaurant not only offers pizzas with vegan cheese (arguably the most missed element of a non-vegan diet), but also offers an option to receive any vegan-meat topping thought possible, including pepperoni, sardines and mincemeat! The décor resembles that of a junk shop with stuff everywhere but the atmosphere is incredibly relaxed and friendly. With pizzas ranging from 7 – 10 euros (the same as non-vegan), the place is affordable and offers exquisite food. Make sure to book a table, as owing to its renowned reputation the place is often packed out. 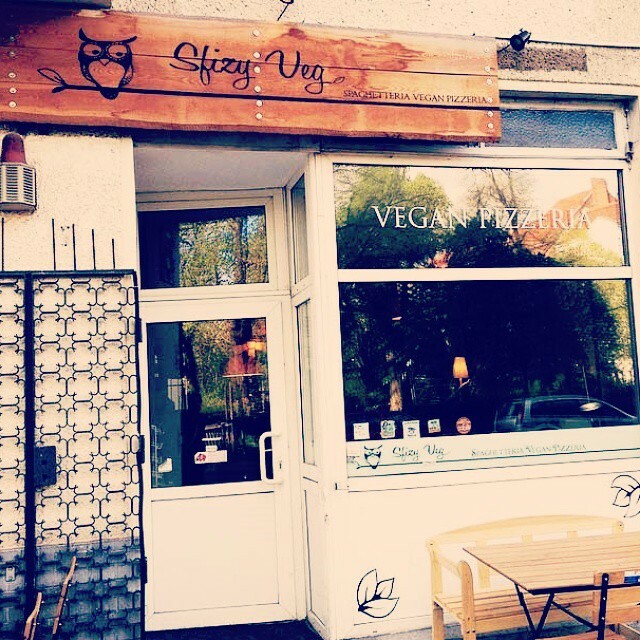 Non-vegan or vegan, to receive a slice of Berlin’s culture, this place should definitely be top on the bucket list.